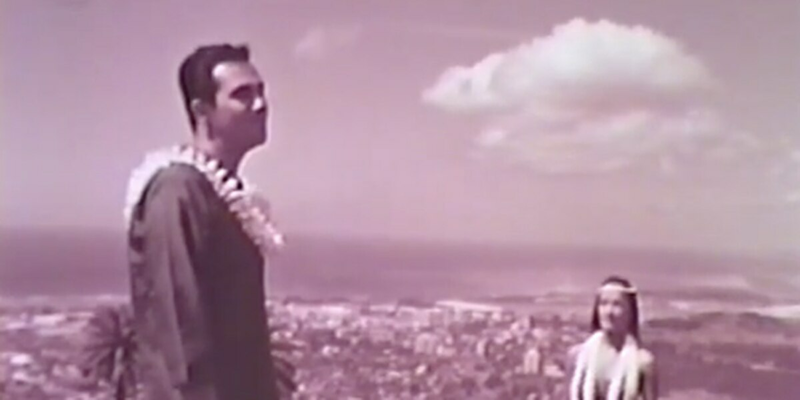 Ed Kenney is seen in this screenshot with his former wife performing in an episode of "Hawaii Calls." HONOLULU (HawaiiNewsNow) - Hawaii recording artist and Broadway singer Ed Kenney has died. Family members confirmed the legendary Hawaii entertainer died on Kauai. He was 85. Kenney performed on Broadway in the 1950s and 60. He was also a recording artist, and a headliner at Royal Hawaiian Halekulani hotels alongside his former wife, the legendary hula dancer Beverly Noa. His son, named after him, is a well-known chef in the islands. Details are pending for memorial services.